Font Garineldo (GarineldoNo01 & No02) — dec­o­ra­tive Italic with many alter­nate Glyphs, Ter­mi­nal Forms and Lig­a­tures. You can play with Garineldo (Styl­is­tic Sets and dis­cre­tionary Lig­a­tures) or try GarineldoNo01 with con­tex­tual, dec­o­ra­tive Alternates. 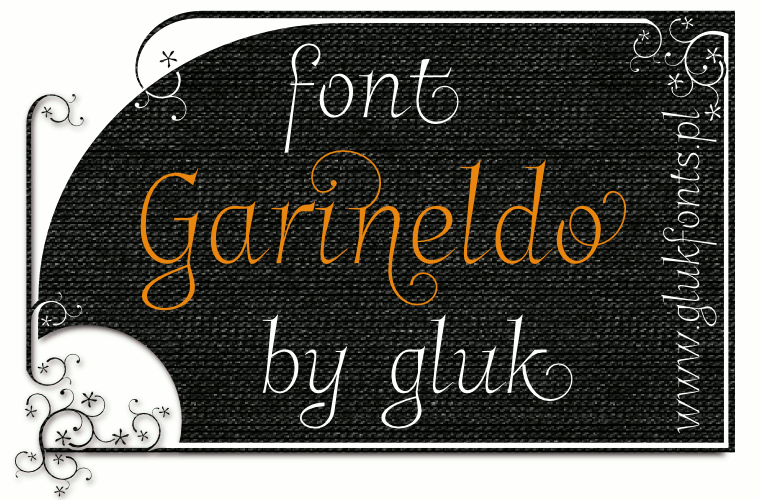 New font GarineldoNo02 sim­i­lar to GarineldoNo01, but Swashes com­pat­i­bles with font Garinel­doSC. 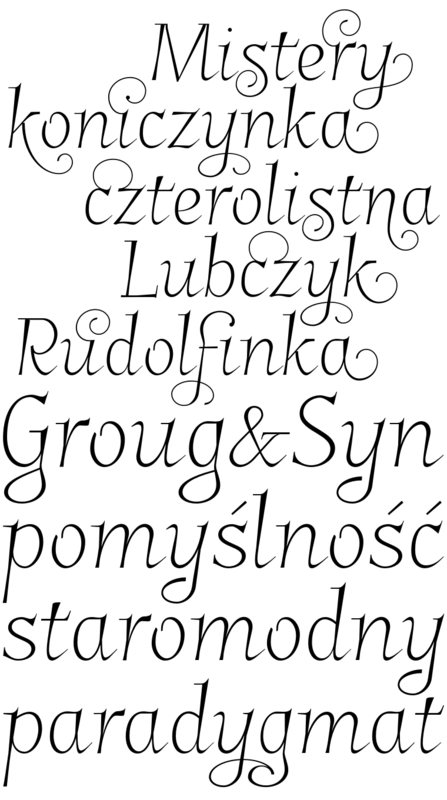 If your soft­ware does not sup­port Open­Type fea­tures, read: How to use extra Glyphs→.